With its many remodels and new builds, Gilbert Arizona is one of Signature Iron Doors focal cities. We value all our customers and have found great pleasure in servicing Gilbert’s iron needs. Featured here are a few doors built for Gilbert Arizona homeowners. From drawing to installation, Signature Iron Doors meets all your iron needs. 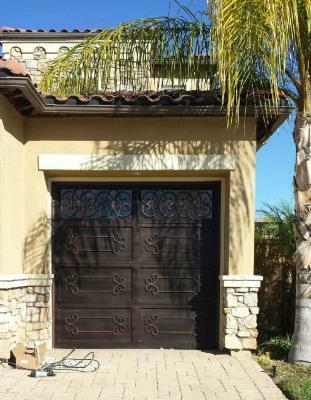 Signature Iron Garage Doors are built to sustain homes through all conditions and time. 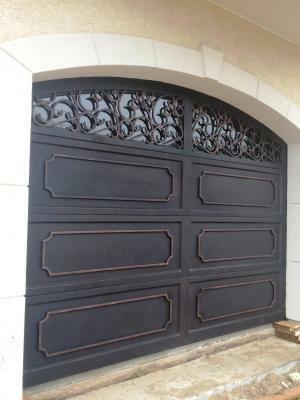 Like all our iron products, our iron garage doors are hand forged and fit specifically to your home. With 14 gauge steel, poly urethane insulation, and epoxy paint, our doors will make your home timeless. Call us and come visit our showroom to discuss with a sales representative your iron garage door options.